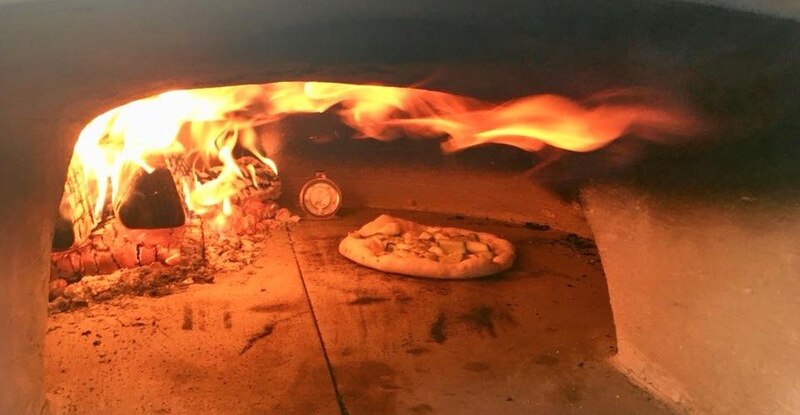 Premium wood-fired sourdough pizza cooked the traditional Italian way. 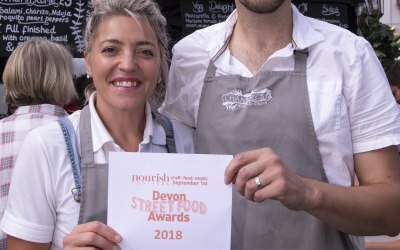 Ready to fire up in the South West for any event or occasion. 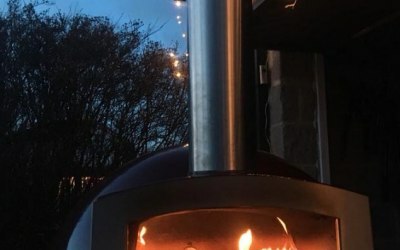 Why not add a little sparkle to your big day with the magic of a wood fire? 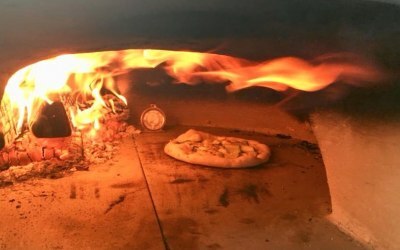 We are a premium Italian specialising in hand stretched sourdough pizza, cooked the traditional Italian way in our beautiful red dome oven. 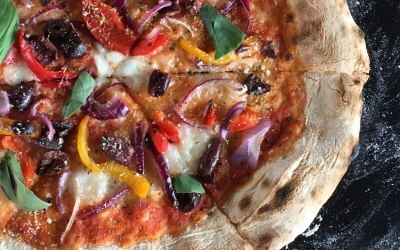 Our authentic Neapolitan menu uses only the freshest ingredients inspired by the award winning produce from both Devon and Italy combined. We offer a bespoke wedding service where our menus can be tailored for you. Vegetarian and vegan options are easily accommodated. 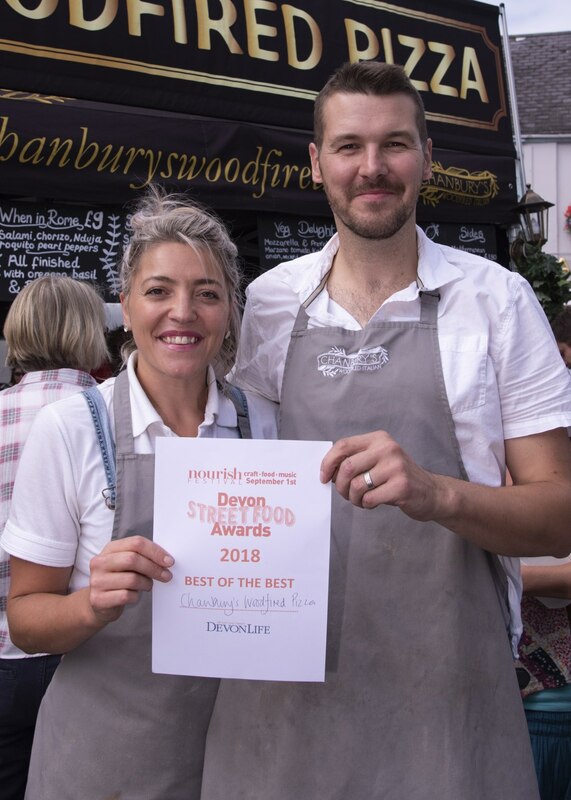 Winners of the 'Best of the Best' street food 2018 from DevonLife magazine. Our elegant setup is fully self-sufficient and adds an Italian charm to any event with its warm lighting and welcoming atmosphere. 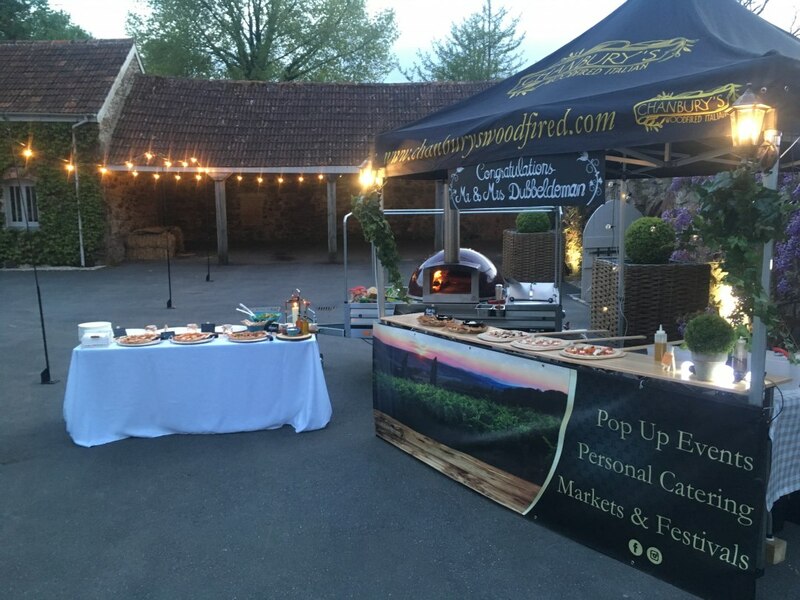 All we ask is that we have access to the event as our commercial oven is mounted on a trailer and the rest is taken care of. 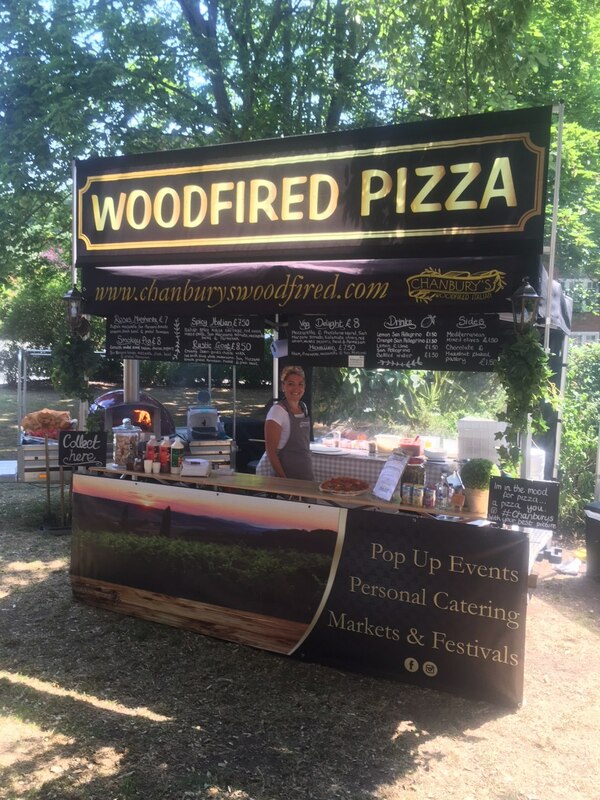 I can’t fault the service received from Chanbury Woodfired pizzas. 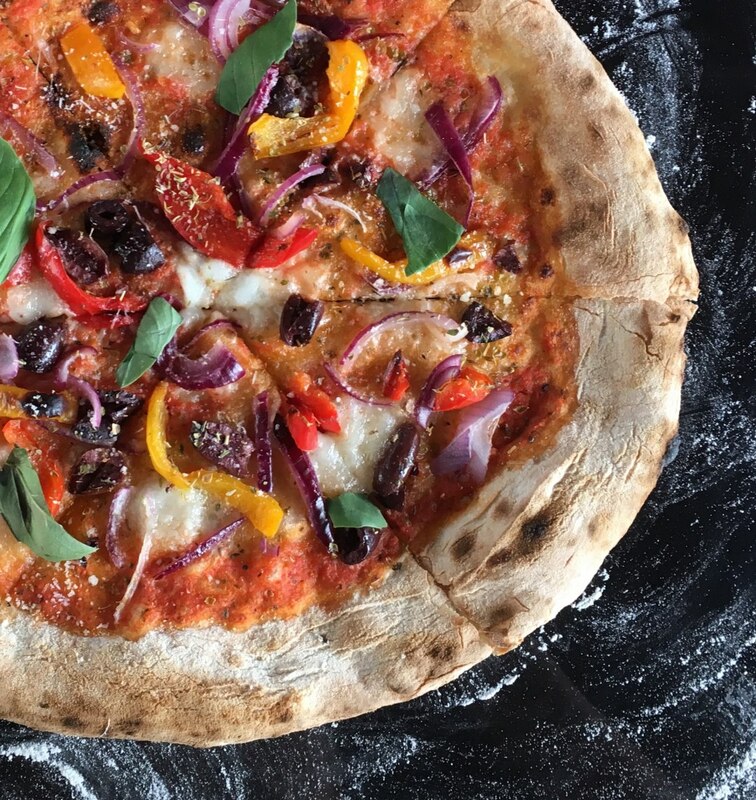 There seemed to be an endless supply of pizzas and everyone said how amazing they tasted. Chantelle kept in touch beforehand and made sure everything went to plan. Also very obliging for people with food allergies. 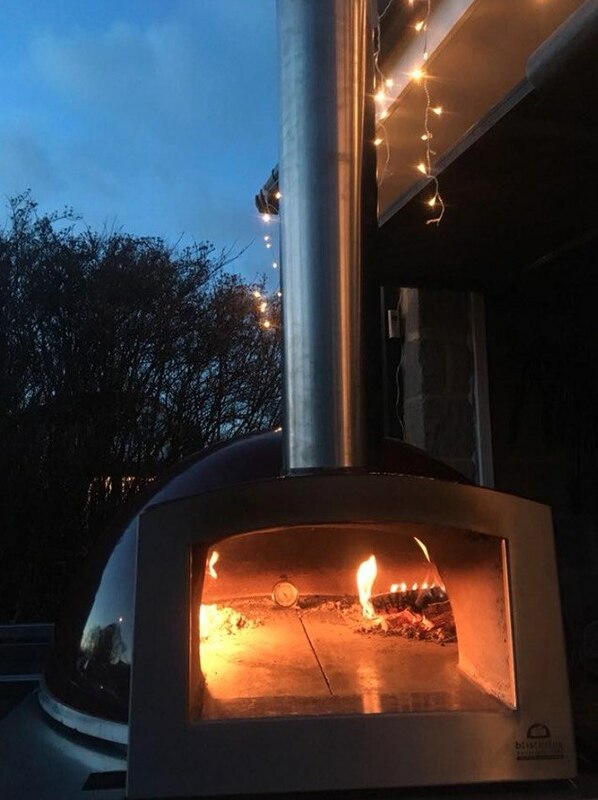 I had nothing but compliments about the great evening and amazing pizzas. Thank you Carole for your wonderful feedback. It was a pleasure to be of service and hope you had a fantastic evening celebrating your birthday. All the best, Chantelle. Delicious pizza and great service! Chantelle & Peter stepped up at relatively short notice to cater an evening buffet at our office. 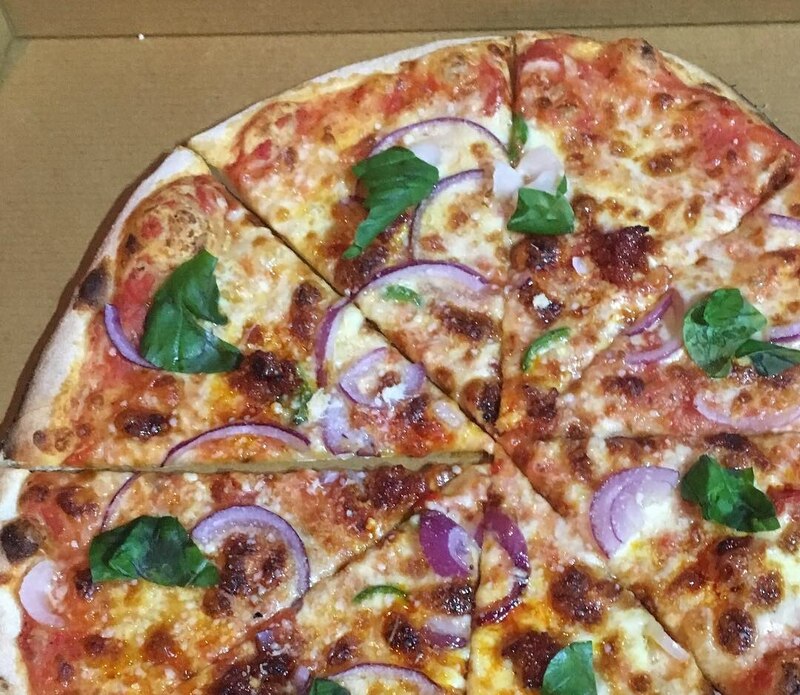 The pizza was absolutely delicious, with vegan and gluten free diets catered for, and it was beautifully presented. All this was done during possibly the worst wind and rain that we've had this year and we still had service with a smile, so I honestly can't recommend Chanbury's enough! Chantelle and crew were all so cheerful. 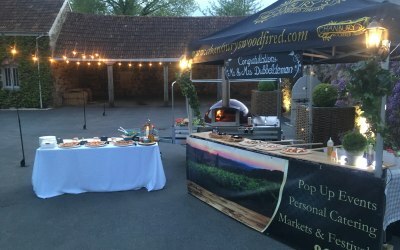 The set up was amazing and made our venue look like an Italian retreat. 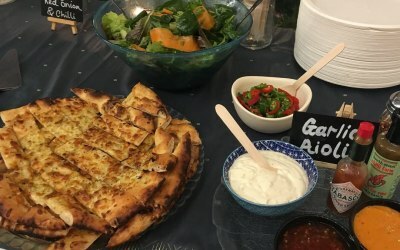 All our guests commented on how good the pizzas were and my sister in-law was so happy that she had a whole vegan pizza made just for her that she didn't stop talking about it! 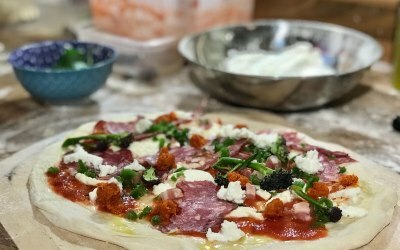 Thank you for making the evening of my our wedding so effortless and for filling our guests with some delicious pizza. You truly are amazing! A terrific addition to our event catering. Our usual caterer pulled out of our kite festival and, perchance, we offered the catering to chanbury woodfire. 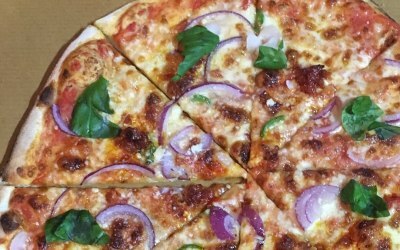 we have only received postive feedback with some guests saying that the pizzas served were "the best ever". They would like to return and we would be pleased to have chantelle & co at our future events. 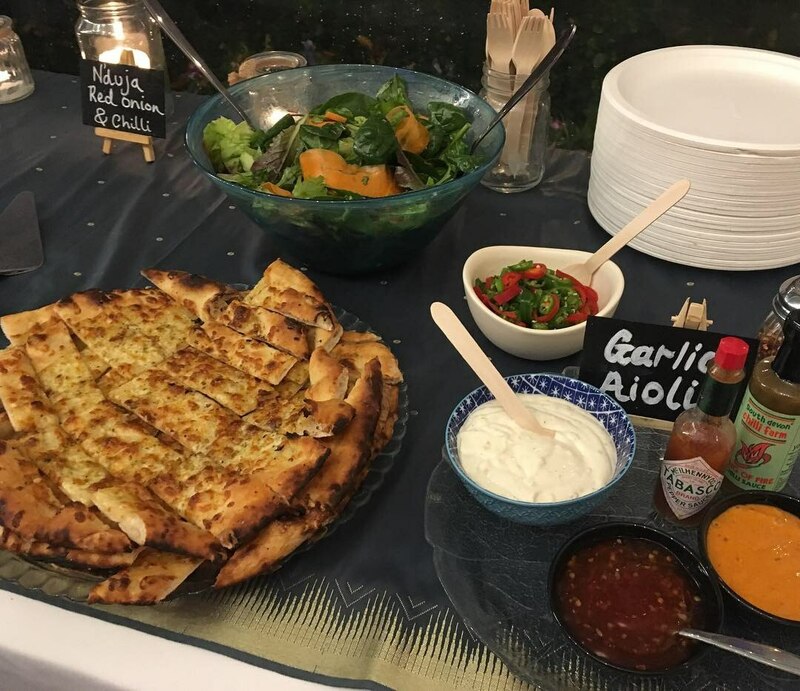 We had a mini festival/party at the weekend for about 100 people with food made to order. 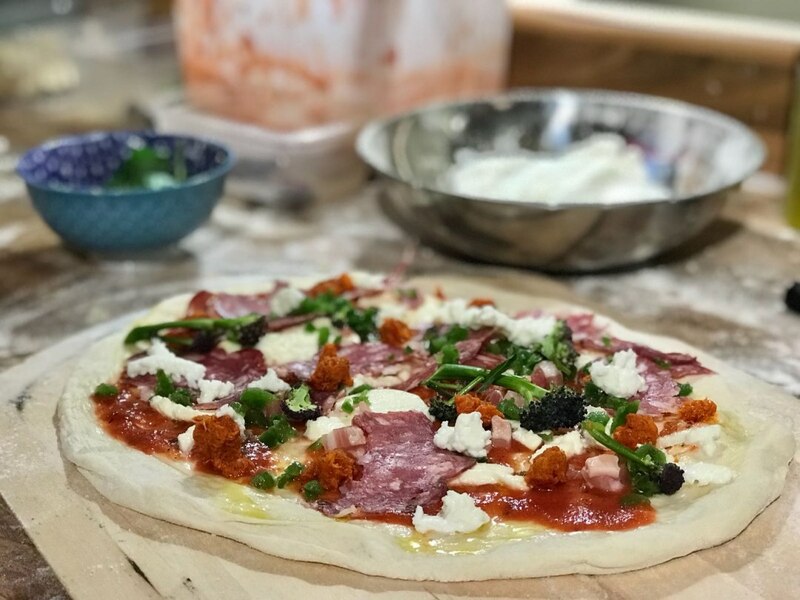 Our guests loved the pizza, the service was really well managed and the folks serving/taking orders/cooking were really friendly. 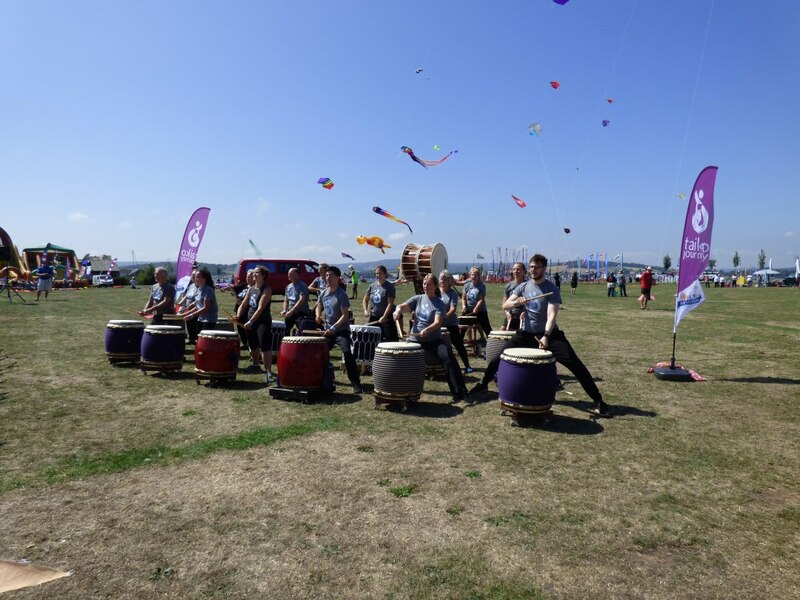 The company were a delight to deal with before and after the event and I would have no hesitation in working with them again and recommending them - Thank you, you really contributed to our special weekend. Really friendly people running the stand. 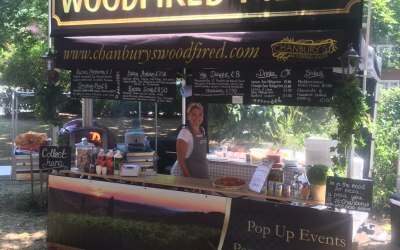 Get quotes from Chanbury's Woodfired Italian and others within hours.